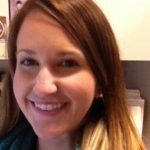 In 2016, Ashley became a part of the Performance Solutions team with Summa Health System as a Process Engineer. In her role, she supports a broad range of continuous improvement initiatives across all Summa entities utilizing Lean-Six Sigma methodologies. Ashley obtained her Bachelor of Arts in Psychology (2005) and Bachelor of Science in Geography & Geosciences (2008) from Salisbury University in Salisbury, Maryland. She received her Master of Science in Geosciences (2010) with a focus on climate and health outcomes at Mississippi State University in Starkville, Mississippi.